The Greater Blackville Resource Centre (GBRC) is a 100% volunteer operated registered charity with a clear vision – to assist persons in need and promote unity in the community. 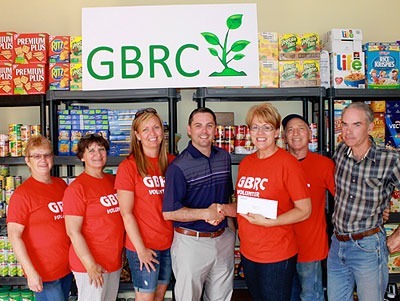 The GBRC do this through various projects, but the majority of their effort goes into the operation of the Food Bank here in Blackville. The Food Bank does not receive financial support from any level of government and all revenue comes from their thrift store, fundraising activities, and generosity of the local community. With the help of dedicated volunteers and community support, the GBRC has been self-sufficient since first opening in 2012, and have been providing food boxes every month to those in need. Community projects have included a Community Garden, Community Food Mentors program, Community Kitchen, and Soup’s On, which offers free home-cooked meals in the community. For more information about the Greater Blackville Resource Centre, visit their website at www.blackvilleresource.com.